In many ways, this has been a very frustrating season for the Seattle Storm; it seems that almost nothing has gone right for last season's division winners. Understandably, Seattle fans have been growing frustrated. However, there was finally a bright spot for the Storm's fans on July 24th, as top pitching prospect Hector Marquez was called up for his major league debut. To say that Marquez's debut was highly anticipated would be an understatement. 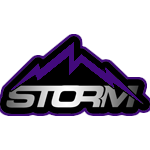 Even though Marquez is only 22 years old, it feels like Storm fans have been waiting for him for quite a while. The reason for that, of course, is that the Storm gave Marquez a club-record $22.9 million bonus when Marquez was only 16 years old. Needless to say, the Storm saw quite a bit of talent in Marquez to justify that contract. As Marquez worked his way up through the minor league system, Storm fans grew increasingly anxious to see him in the bigs. Until this season, Marquez's minor league performances had always been good, but had never seemed to justify his massive signing bonus. However, this season in AAA, Marquez appeared to turn a corner, as he had an ERA+ of 176, and he earned his promotion. Marquez's first start, against division rival Edmonton, did not disappoint. He went 8 innings and allowed only 1 run on 5 hits. While it's only 1 start, Seattle fans are understandably thrilled, and they can't wait to see what happens next. Seattle is the best pitching dev team in the league's history. Sad what's happened to Alfredo Contreras. That's a kind of early demise. Really seems to be forcing you to need the kids sooner than I thought you would.